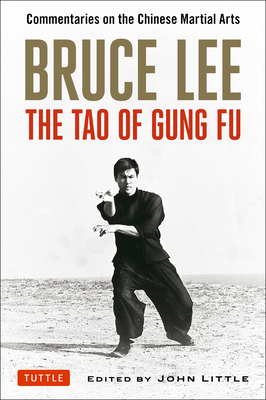 In the months leading up to his death, Bruce Lee was working on this definitive study of the Chinese martial arts--collectively known as Kung Fu or Gung Fu. This book has now been edited and is published here for the first time in its entirety. Bruce Lee revolutionized the practice of martial arts and brought them into the modern world--by promoting the idea that students have the right to pick and choose those techniques and training regimens which suit their personal needs and fighting styles. He developed a new method of his own called Jeet Kune Do--combining many elements from different masters and different traditions. This was considered heretical at the time within martial arts circles, where one was expected to study with only a single master--and Lee was the first martial artist to attempt this. Today he is revered as the "father" of many martial arts practices around the world--including Mixed Martial Arts. In addition to presenting the fundamental techniques, mindset and training methods of traditional Chinese martial arts, this martial art treatise explores such esoteric topics as Taoism and Zen as applied to Gung Fu, Eastern and Western fitness regimens and self-defense techniques. Also included is a Gung Fu "scrapbook" of Bruce Lee's anecdotes regarding the history and traditions of the martial arts of China. After Lee's death, his manuscript was completed and edited by martial arts expert John Little in cooperation with the Bruce Lee Estate. This book features an introduction by his wife, Linda Lee Cadwell and a foreword from his close friend and student, Taky Kimura. John Little is considered to be one of the world's foremost authorities on Bruce Lee, his training methods, and philosophies. Little is the only person who has ever been authorized to review the entirety of Lee's personal notes, sketches and reading annotations. Little's articles have appeared in every martial arts and health and fitness magazine in North America including Muscle and Fitness. He is the author of Striking Thoughts: Bruce Lee's Wisdom for Daily Living, Bruce Lee: Artist of Life, Jeet Kune Do: Bruce Lee's Commentaries on the Martial Way, Bruce Lee: The Art of Expressing the Human Body, Bruce Lee: The Celebrated Life of the Golden Dragon, and many others. A native of Canada, John is an expert in the fields of martial arts, bodybuilding, and physical conditioning.